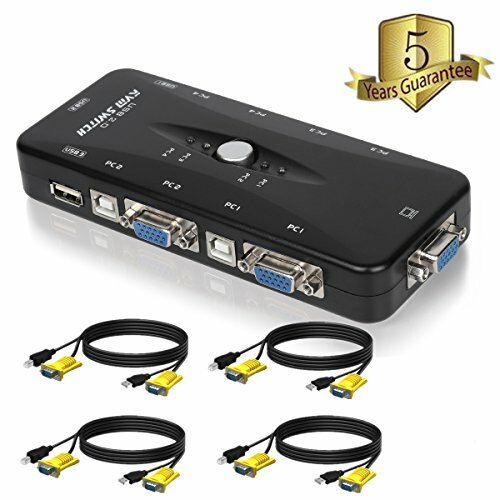 If you're looking for a KVM switch then you already know the struggles of having to perform tasks on separate computers throughout your day. Make life a little easier with our KVM switch. This device will allow you to control one of maxi 4 computers from the same keyboard and mouse (or other PS/2 based peripheral) at the push of a button. You will be working, studying, playing or tinkering more efficiently in no time! ❺5 years warranty and friendly customer service. If you have any questions about this product by KUNKETECH, contact us by completing and submitting the form below. If you are looking for a specif part number, please include it with your message.